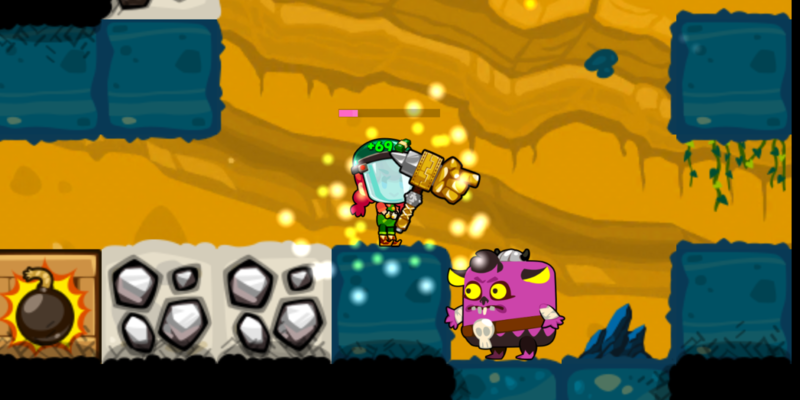 You take on the role of a happy digger in Pocket Mine 3 that is only eager to uncover treasure and relics buried past rocks and layers deep. There are various types of bombs and monsters the digger has to deal with before he reaches the gold within. In this attempt to reach the goal, the digger has the option to upgrade his tools so can dig deeper and get access to treasure easily and quickly. With our tricks and tips, it is possible to prevent time wasting and get on with the gold collection. 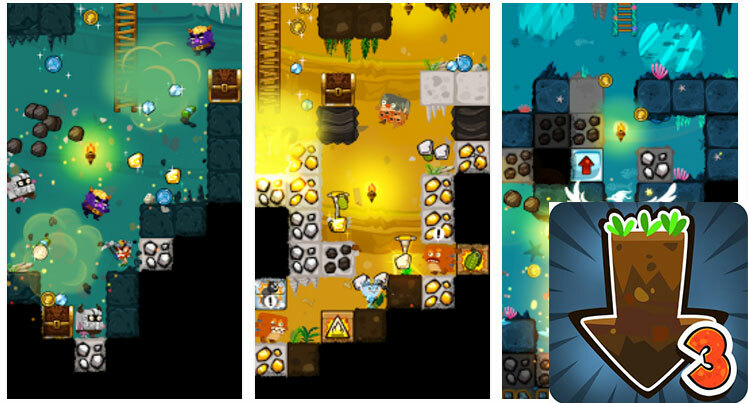 The design of Pocket Mine 3 is such that you’ll always be tempted to tap into areas that are brighter or colorful. However, you need to be careful in doing so. Remember, there is a certain distance you need to cover and you also have limited number of ‘picks’ at your disposal. So, you need to be sure to take your time and go ahead with your action. Yes, the screen is always rolling but you still have a second or two to think about your moves! 2. Stay away from edges! Whenever possible, please stay away from the edges! Remember, on any space you’re standing, there will be four squares around you. If you remain on the edge, you’ll only be able to see 2 or 3 squares. Just to give yourself maximum options, you need to stay in the middle of the screen. Only when something juicy comes before you, you can consider staying on the edge and not otherwise. It can be an exasperating and confusing process to upgrade your equipment in Pocket Mine 3. There is an in-game currency that you can spend to upgrade your Blacksmith in this game. The blacksmith will come along with better gear and for this; you need to be able to spend more coins! Cards and card packs are of extreme importance in this game and you need to realize this sooner than later. Rather than looking at ways to play with what you got, it is important to find ways to use the cards as they help discover new characters for digging up. To put in simple words: cards helps make your digging easier. Thankfully, you can use the in-game currency to buy the entire cards in this mobile game. The Red Gems that you keep collecting can, in fact, be used for this purpose. One advice I can give is to save 40 and get the discounted 5-pack. In each of these packs, you’re guaranteed a legendary. Also, the pack comes along with a handful of new squares for you to dig and discover useful things like dynamite or an explosive ore. What’s more, there’s the possibility of unlocking new playable characters. Before you start with a new stage, I suggest you check out your ‘Missions’ at the top right side. Completing these Missions successfully will reward you with keys in this Android game! 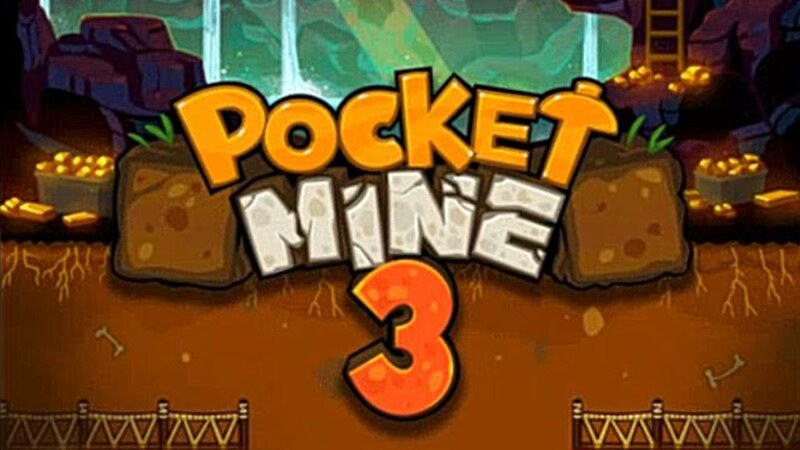 You can download Pocket Mine 3 game here. The post Tips and Tricks for Pocket Mine 3 Game appeared first on App Cheaters.